Susie & Bruce Bell are Fremont County Community Leaders and philanthropists. Susie was appointed to the Starpoint Foundation Board in 2010 and was recognized as a leading individual donor at the Starpoint Donor Recognition event in 2015. Susie is and has been involved with a number of non-profit organizations in Fremont County. You can count on the Benefit Health Advisor group to assist your employer group in creating and managing successful health benefit plans. The proper benefit and wellness plan will help keep your workforce healthy, encouraging productivity and presenteeism. We thank them for being part of our 2014 event! The Royal Gorge Bridge & Park is open once again! After the devastating fire of 2013, the park is proud to once again be open to the public - now with all-new attractions, eateries, and shows. Come peruse the grand new Visitor's Center, ride on the lovely Linter Poma gondolas, watch the aerial and magic shows in the historic Plaza Theater, and brave North America's highest zipline. Remember that participants in the race get into the park for FREE all day, and family members get in for only $12! The Fremont County Tourism Council is a driving force in helping to make the Royal Gorge Region one of the state's top destinations for fun, adventure, and relaxation. Check them out online for an up-to-date event calendar for all of Fremont County's festivals and fun. Legacy Bank has been providing banking services to the Arkansas Valley and Front Range since 1907. Today, they continue to provide quality services in Cañon City, Colorado Springs, Pueblo, and Lamar. Legacy Bank is proud to offer remote deposit, e-statements, phone banking, disclosures, and lending to the people of Southern Colorado. They are also active in their community and are proud sponsors of the 2015 Rim to Rim Races. Holcim (US) Inc. is one of the largest manufacturers and suppliers of cement and mineral components in the United States. They pride themselves on providing a quality product while still adhering to and pioneering environmentally sound practices by reducing Co2 intensity. They also provide assistance and technical service, which means you can rely on their service engineers to help you plan and execute any size project. Hocim is a proud supporter of the Rim to Rim Races and many other community events and organizations. 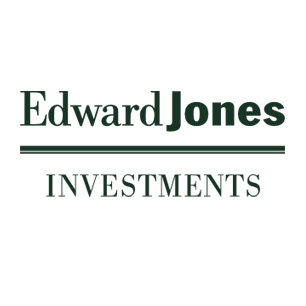 Edward Jones Investments believes that investing should be easy! That's why they work hard to build one-on-one relationships with a financial advisor and client. With Edward Jones, you get: easy-to-reach financial advisors, a long-term approach to keep your investing on track, easy-to-understand investment strategies, and investment solutions created to help meet your needs. Give them a call and see what they can help you achieve! You can trust your smile to David L. Smith, DMD, PC at Florence Family Dentistry, where they specialize in beautifying smiles, maintaining your dental health, and helping you improve your appearance. Their experienced and friendly staff takes great pride in keeping your smile beautiful. Their promise to you is that the veneers, fillings, crowns, and bridges they create will look as good as or better than the teeth nature gave you. And to make sure they keep that promise, the products they recommend and use are the highest quality and incredibly durable. Ease-e provides quality supplies and service to their customers. You can expect above-and-beyond service from Ease-e, including courtesy calls, real human assistance, third-party billing services, and superior products. No other medical supply company in Cañon City focuses directly on people with intellectual and developmental disabilities. We are excited to welcome them as a 2015 sponsor! Cañon City MUGS is the perfect place to stop in for breakfast and coffee, or stay and watch the game on one of their big-screen TVs and have a drink or two. They feature a sports bar, an espresso bar, an outdoor patio, and a full menu of delicious meals. Come by on trivia night and have a blast with your buddies, too! Royal Gorge Brewing Co. is Cañon City's own micro-brewery. They serve fresh, fast, and fabulous food in a casual, fun atmosphere. Vegetarian options are available, and local brews are served on tap. Come downtown and check them out! ​Pizza Madness is one of the best restaurants in Cañon City - ask anyone! At their large, open restaurant, you can host parties, bring friends, or just have a fun night out with the kids (bring your quarters for the arcade machines)! Enjoy award-winning, hand-crafted pizza, fresh salads, made-to-order calzones and fresh baked sandwiches. These caring professionals at Solvista serve our community and neighboring communities. They are dedicated to helping individuals get well and stay healthy-physically and mentally. They are experts at linking community resources to support individuals. Their vision is to put people first! Frog Dawg Productions showcases musicians and artists alike. Their mission is to stimulate the economy and provide entertainment in rural Colorado. Mission achieved! We are thrilled to have their sponsorship and look forward to what they have on the agenda for upcoming entertainment throughout the Royal Gorge Region! Gobin's Inc has been providing excellent service to the Southern Colorado business community for 50 years. They offer a depth of knowledge in business technology, along with superior customer service. Their team of professionals are community minded and have a positive presence throughout each communities they serve. A premier one-stop health center located in Southern CO with four divisions: Integrative Medicine, Home Health, Diagnostics, and AIM Health Academy. Aiming to provide care that consistently exceeds expectations. We are excited to welcome AIM as a 2018 sponsor! Frontier Feeds in Cañon City is a proud sponsor of many local events and organizations in Fremont County. Come see them for all your pet - both large and small - needs. They carry some of the highest-quality feeds and products for pet. See the difference that customer service, personal attention, and attention to your pet's needs can make in a feed store. Find them at 3275 E Us Highway 50 in Cañon City. What the Benedictine monks of the Holy Cross Abbey began many years ago, is now a reality: a working winery in the midst of Cañon City, Colorado. Step onto the grounds of the Winery, which is located adjacent to the impressive historic abbey, and you'll find a delightful array of hand-crafted wines. From Cabernet to Riesling, the Winery at the Holy Cross Abbey produces award-winning wines that will have you picking a favorite (and a few bottles) from their quaint tasting room. We thank the winery for also acting as host to our pre-race registration and packet-pickup. Come early to peruse the grounds and enjoy a quiet fall evening in the shadow of the graceful architecture of the abbey. SunWest Credit Union offers a multitude of services; including online banking and bill pay, ATM, VISA, and credit cards, mortgages, account access by phone, and insurance, to their members. Visit their website today and consider becoming a member and taking part in all of the fantastic programs they have to offer, including their Golden Apple activities and Sunny's Savers - a savings program for kids aged 2 to 12! Since 1968, Lindner Chevrolet has been a family-owned and operated new and used dealership in the Fremont County. In 1978, we moved our dealership from 731 Main to 2805 Fremont Drive, allowing us to better serve the people of Canon City, as well as Colorado Springs and Pueblo Chevrolet drivers. Our transactions and decisions will be courteous, honest and dependable for our customers. We are continually improving the ways we work, solve problems and satisfy customer needs. Looking for permanent hair removal from your bikini area, underarms, face or other areas on your body with unwanted hair? Check out Electrolysis By Laura. Electrolysis is a method of hair removal which utilizes heat energy to eliminate hair follicle, and can treat all types. Laura is professional and highly knowledgeable. Hair removal can be a sensitive matter for many. Laura has the ability to put people at ease. Big O Tires in Cañon City is your one-stop-shop for tire service and repair; oil, lube and filters; routine maintenance services; batteries; brakes; alignment; and suspension and steering. Come see their friendly service members for all your car maintenance needs! Based in Colorado, Unified Title Company is committed to supporting locally owned and operating agencies around the country. They are full service providers of title insurance, escrow and related products for residential and commercial real estate products for residential and commercial transactions across Colorado. The employees at Unified Title Company are community minded and are dedicated to supporting and contributing to local charities and non-profit organizations. The Royal Gorge Route Railroad is proud to partner with Starpoint and the Rim to Rim Royal Gorge races to offer our participants and their families another fabulous opportunity to enjoy the sights of Cañon City. Ride the rails of the historical Denver & Rio Grande railroad as you pass through the majestic Royal Gorge. Enjoy seating in coach class, or treat yourself to the relaxing Dome Class cars. Either way, you'll spend an afternoon you won't soon forget! Have you seen our ads in the Daily Record lately? Not only is the Daily Record your go-to paper, website, and Facebook page for all the news in Fremont County, but they are also a tremendous supporter of local organizations and events. Find out more information on how to subscribe to Cañon City's premier news outlet at the Daily Record's website. ​Cañon City's news, weather, and event station is also a proud supporter of the Rim to Rim Royal Gorge Races. Keep up with current events by tuning to KRLN 1400 all day! The Autumn Color Run is held each year in and around the historic, friendly, and picturesque town of Buena Vista, Colorado nestled in the upper Arkansas River Valley at the base of the Collegiate Peaks. The ACR began as many races do with one run, and as it grew over the years the Autumn Color Run has consistently worked with community organization to raise funds and awareness through running. The ACR continues to support the organizations that support our community. The Royal Gorge Dinosaur Experience is proud to partner with Starpoint and the Rim to Rim Royal Gorge Races to offer our participants and their families a unique and high-valued educational experience. Visitors will have the opportunity to learn more about Colorado's paleontological history with a world-class collection of interactive displays, guided tours, real dinosaur fossils, and outdoor skinned animatronic dinosaur exhibits. There is also a multistory ropes course with stunning views of the Royal Gorge Bridge and the Sangre de Cristo mountain range. Interested in becoming a sponsor or donating a raffle prize? Please contact our Race Director for more information!